Can I Get a Loan on my Workers’ Compensation Benefits? By law, workers’ compensation benefits in the State of Arizona are not subject to lien. That means that a lender, such as national advertiser Oasis Finance, is unable to legally secure all or part of your future workers’ compensation benefits in order to pay its loan. Without that security, no loan can be completed. The same logic applies to liens for medical services and products. These liens are unenforceable and, therefore, I highly recommend against their use. I been asked many times in the past few years by clients to sign such a lien. I have always refused, exactly for this reason. I cannot sign a lien that is waive-able by the debtor. 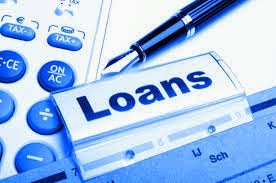 As an aside, the terms of these loans are usually very oppressive, with sky high interest rates and penalties. Similarly, your attorney is prohibited by law from lending you money. I realize that a workers’ compensation claim creates a lot of financial pressure on claimants, since , if they are being paid correctly, they are only receiving 2/3 of their normal monthly income. The amount of benefits paid is also subject to a ceiling known as the "maximum average monthly wage." There may be other, and better, options to increase a claimant’s benefits. these options do not include loans, advances, or other onerous products. For more information on this topic or if you have any other questions about Workers' Compensation or Social Security Disability, please call 855-325-4781 to schedule a free consultation in person or over the phone. You may also find more information about our firm at www.workinjuryaz.com.